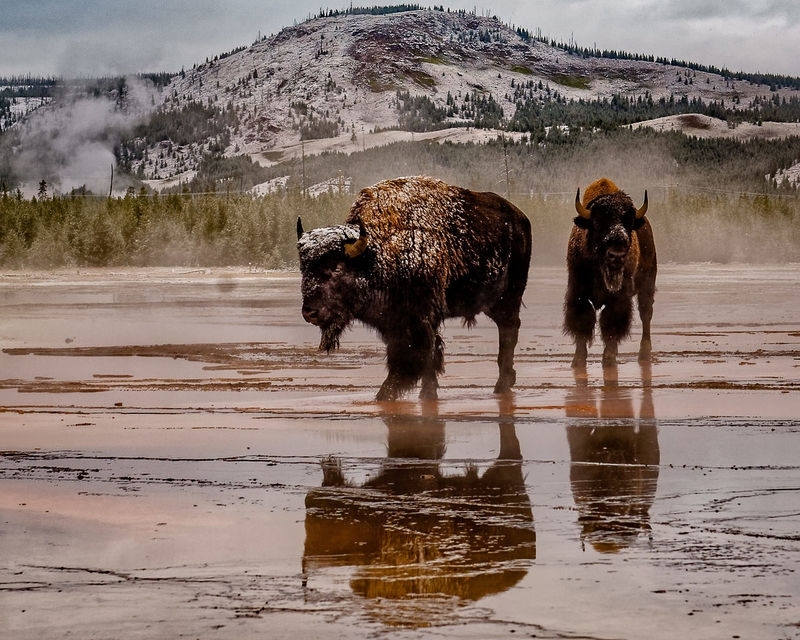 Two bison came strolling across Grand Prismatic hot spring. I really like this image, John. Thank you Sarah. Much appreciated.